If you’re under the impression your credit score isn’t influencing your life right now, think again. Your credit can affect so much more than just your wallet. Whether it’s good or bad, credit history can creep its way into your day-to-day life in surprising ways as well as impact the lives of your children. A heavy burden to carry, particularly for single parents. Consider this: it can take years to build credit history but only a few small, careless mistakes to ruin it. Neglecting your credit score isn’t the type of thing you want to do, since it impacts both you and your family. Why? Here are five ways your credit score affects your daily life and those of your family. Imagine finding the perfect house in the ideal school district for your children. In order to purchase it, you’ll need a solid credit history to snag the best possible deal for your dream home. All hopes rest on your credit score. Mortgage companies use your credit score to discover the risk you’ll pose. The lower the score, the higher the danger of a defaulted loan. A low score is a red flag for lenders so they’re more likely to charge you a higher interest rate. Homebuyers are not the only ones that need to be careful with their credit score. If you’re planning to rent an apartment, be aware that most landlords run a credit check as part of the process for securing a lease. Your credit score indicates your reliability. It provides insight on how reliable you are at making regular monthly payments and reveals debts tying up your income which might make it hard for you to afford the cost of rent. It may be hard to believe but that dream job you’re trying to land could be yours or not depending on your credit score. As part of the screening process, employers can initiate background checks including a credit report on job applicants they want to hire. It’s another way for employers to measure your trustworthiness. This is particularly important in jobs that deal with money, such as positions in banking, finance or government. However, under the rules of the federal Fair Credit Reporting Act, a credit report can only be accessed after an applicant gives consent and an employer clearly discloses why a credit report is related to a particular job. Also, financial issues in your credit report can kill your security clearance for government positons. Having excessive debt can increase the temptation to commit unethical or illegal actions to pay off the debt, which will impact your clearance. Lenders are not the only ones using your credit score to measure the likelihood that you’ll pay back a loan or credit card debt. Auto insurance companies rifle through your credit history to determine premiums. Studies show that using credit history helps with accurately predicting insurance losses. Most insurance companies use credit-based insurance scores, along with your driving history, claims history, and other factors to establish eligibility for payment plans and to help determine insurance rates. For example, if you have a high credit-based insurance score, a perfect driving history and no claims on your record, you’ll usually qualify for lower rates. If you have an excellent insurance score but a bad driving history, you might be considered riskier to insure. Many people don’t give much thought to their credit score until they need to make a major purchase. While that three-digit number may seem insignificant, lenders use it to decide whether you get a mortgage, a credit card or some other line of credit, and the interest rate for it. Of course, getting approved for a loan is a cause for joy but if your loan comes with an unfavorable interest rate or restrictive terms, it could feel like the opposite. When it comes to securing an interest rate, the higher your score, the better the terms of credit. A poor credit score can mean higher interest rates or no access to credit for buying a car, a house or making home improvements. You might not realize your credit score can play a role in your relationship or marriage. After all, when you marry someone, you marry their finances. If your partner has a lot of debt or a poor financial history, it can impact how effectively household expenses are handled or if you’ll be able to buy a house together. It can take awhile to establish credit, maximize existing credit and repair damaged credit to increase your score. This is why it’s so important to start building a good history now, and to pay close attention to your credit score so you can catch potential problems before they become a major issue in your life and relationships. 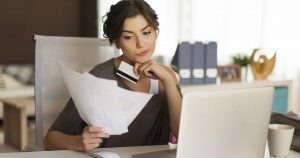 Your credit score can impact your life in surprising ways which is why neglecting it can have serious repercussions for your future. Do you want to know where you stand with your credit and how to get it on track? Call us at 203-291-9465 or email info@perfectcreditconsulting.com so we can help.